Post Name :- Railway NTPC Various Post Online Form 2019. Short Information :- Railway Recruitment Bord RRB Invited to Online Applycation From for the Recruitment of NTPC Various Vacancy Post of NTPC Intermediate and Graduate Level Recruitment 2019. Those Candidates Are Interested in the Vacancy Details Can Read the Full Information Before Apply Online Applycation Form RRB. General / OBC :- Rs. 500/- ( Rs. 400/- Refunded After Appear in 1 Stage Exam. SC / ST / PH / Female :- Rs. 250/- (Rs. 250/- Refunded After Appear in 1 Stage Exam. Candidates must be Passed 10+2 Intermediate Exam With 50% Marks in Any Recognised Board in India. Candidates must be Passed Bachelor Degree in Any Stream in Any Recognised University in India. Post Name :- BSF Recruitment Radio Operator, Mechanic Operator Online Form 2019. Short Information :- Border Security Force (BSF) Has Invited to Online Applycation Form for the Post of Radio Operator (RO), Radio Mechanic (RM) Recruitment 2919. Those the Candidates Are Interested in Vacancy Details. Can Read the Full Notification Before Apply Online Applycation Form BSF. Passed Class 12th Intermediate Exam with CPM Group with 60% Mark's. For All Details Read the Notification. Age Relations Extra as per Rules. See Notification. 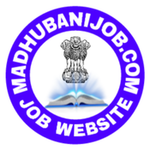 Post Name:- BPSC Bihar PCS J Recquitment Pre Admit Card, Mains Exam Date Notice 2019.